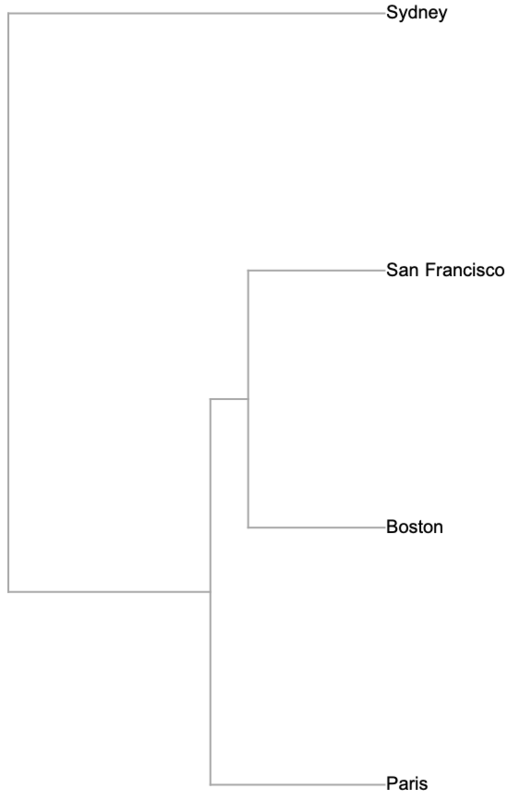 constructs a dendrogram from the hierarchical clustering of the elements e1, e2, …. represents ei with vi in the constructed dendrogram. represents ei using labels labeli in the constructed dendrogram. constructs an oriented dendrogram according to orientation. 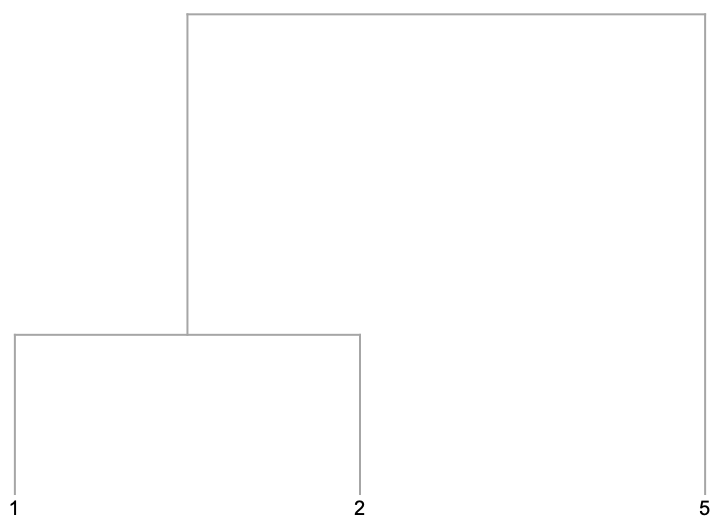 constructs the dendrogram corresponding to weighted tree tree. The data elements ei can be numbers; numeric lists, matrices, or tensors; lists of Boolean elements; strings or images; geo positions or geographical entities; and colors, as well as combinations of these. If the ei are lists, matrices, or tensors, each must have the same dimensions. By default, Dendrogram is oriented from top to bottom. 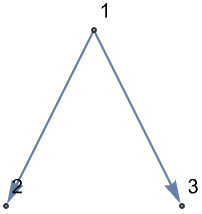 Possible orientations are: Top, Left, Right, and Bottom. 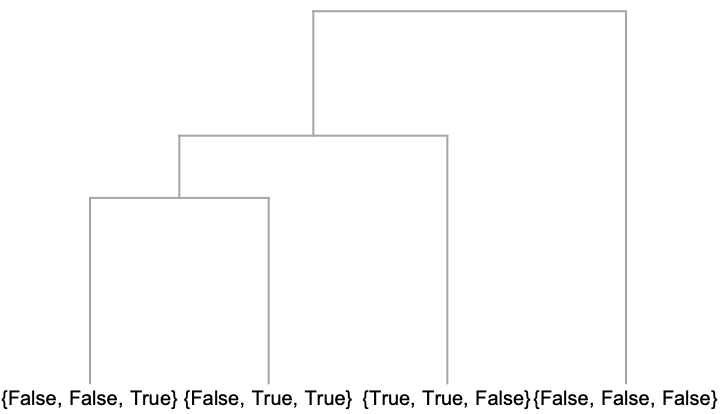 Trees on which to compute Dendrogram can only be weighted on vertices. Dendrogram evaluated on a weighted tree only displays the graph as a dendrogram, therefore only the options of Graphics will change the final result. By default, Dendrogram will preprocess the data automatically unless either a DistanceFunction or a FeatureExtractor is specified. ClusterDissimilarityFunction defines the intercluster dissimilarity, given the dissimilarities between member elements. 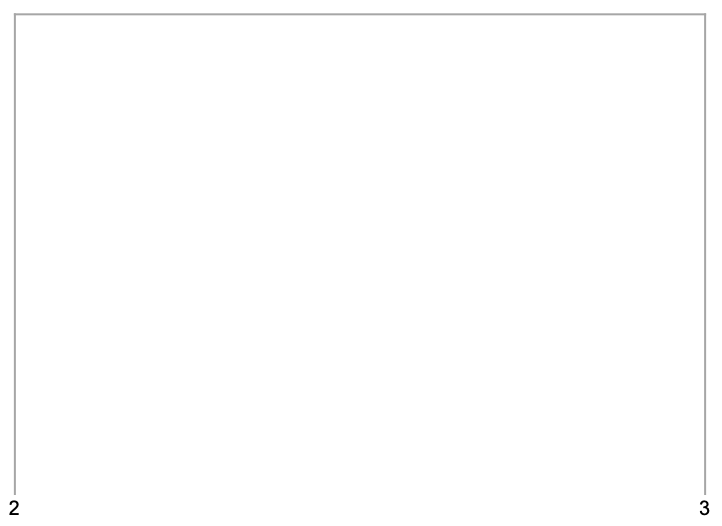 The function f defines a distance from any two clusters. The function f needs to be a real-valued function of the DistanceMatrix.